Kalin Hristov was born in Pleven in 1971. He graduated UNWE in 1996 as a master of macroeconomics. March 2013 - May 2013 - Minister of Finance of Republic of Bulgaria. From February 1997 to December 2000 he worked as Assistant Professor in the Economics Department of the University of National and World Economy (UNWE). In the period January 2001 - December 2004 he worked as Chief Assistant Professor in the Finance Department of the same University. From September to December 2001 he participated as a researcher in the Exchange Rate Issues Project of the Bank of England. In the period October 1997 to September 2001 he was expert in the Economic Research and Forecasting Directorate at the BNB. Since 2002, Kalin Hristov has been a member of the BNB Investment Committee, and since 2005 - a member of the Monetary Policy Committee of the European Central Bank. He is the chairman of the Governing Council of the Bulgarian Macroeconomics Association and member of the Governing Council of the Institute of Market Economy. From October 2003 to October 2009 he was adviser to the BNB Governor, from February 2002 to October 2003 - adviser to the Deputy Governor in charge of the Issue Department. 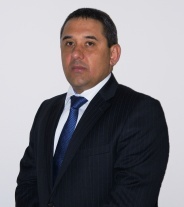 He has been a member of the Governing Council of the Bulgarian National Bank and a Deputy Governor in charge of the Issue Department since 23 October 2009. He authored a number of publications in this country and abroad on issues such as macroeconomics, monetary policy, currency board, adoption of the euro, and co-authored articles and publications on economic topics. He has excellent command of English.